EDITOR’S NOTE: You can access Derek Rydall’s replay (on how to create Awakened Wealth) when you sign Up for our FREE CLN Speaker Series here. When you do, you’ll also get 11 amazing transformational downloads (worth $333!) as a bonus. One of the biggest stumbling blocks for the spiritual seeker is meditation. For the new initiate, it can be a frustrating, even painful, experience. And for many already on the path, there’s often still resistance to meditating consistently. But meditation isn’t a chore; it’s a state of being that sets you free. It’s not about the technique — the technique is not meditation. The state of relaxed, undistractable attention — that moment you “shoot the gap” between thoughts and touch the timeless dimension of being — that is meditation. And there are as many paths to this connection as people. In that light, I want to offer a practice that doesn’t require you to join a monastery or sit in lotus for hours. Using simple, one-minute sessions during the day, you can strengthen focus, lengthen attention, dissolve blocks, and increase connection — and still have time to live life fully. These practices are deceptively simple; most authentic spiritual practices are, because they’re not about ego, which tends to need complex processes to make it feel important. So don’t brush them off or take their power for granted. When you use them consistently — the key to their effectiveness — they will result in a transformational shift in consciousness. 1) Before you get out of bed, take a minute to connect with your breath. Watch it breathing itself. If your mind kicks in, assure it you’ll be with it shortly, then bring attention back to the breath. Instead of “Good God, it’s morning!” try, “Good morning, God” Give thanks for everything in your life — including life itself — then put your feet on the floor. 2) As you take your bath or shower, take a minute to become conscious of the water against your skin, the sensations, the sounds. Stay in your body, instead of drifting into the future, planning your day or fantasizing that you won that argument! As your body is cleansed, affirm that mental and emotional debris is being washed away as well. 3) At breakfast, take a minute to smell the aromas, taste the food, and give thanks that it’s fueling your body. For a longer contemplation, trace back the origins of your meal. Those eggs were delivered by a truck driver, stocked by a grocer, gathered on a farm. Someone fed the chicken, delivered the feed, harvested the grain, and planted the seed. Millions of people went in to making that breakfast possible — not to mention the animals, sun, rain, and the whole cosmic dance of the universe. 4) In your car (or on mass transit), when you reach a stop, take a minute to watch your breath, give thanks for the perfect harmony in the universe, and how it’s reflected in the way the traffic lights and streets organize and order the chaos. 5) At work, before beginning, take one minute to give thanks for your job, bless everyone there, everyone it touches on the planet, and intend this to be the most inspired day of your life. If you’re ‘unemployed,’ give thanks for all the abilities you have, and the extra time for contemplation and connection with loved ones. If negativity arises, breathe, watch it, then focus on what you’re grateful for. This cultivates a mindset of abundance. 6) When you use the restroom, take a minute to give thanks for how your body eliminates what no longer serves — and affirm that your heart and mind are doing the same. If you’re having physical problems, focus on a healthy area. Feel the well-being there, give thanks for it. This cultivates the inner conditions for greater health to emerge. 7) Every hour or so, stop for one minute to check in, breathe, re-connect, give thanks for your life, and go back to work. This is the foundational practice of the One-Minute Mystic. If you do nothing else, this practice alone will have a significant impact. 8) At night, if you watch TV, pause during commercials and re-connect. Market your own life-enhancing images to your mind, rather than letting someone else do it. 9) As you fall asleep, affirm that your mind and body are renewed while you rest, and that you will awaken more inspired than ever before. As you practice being a One-Minute Mystic, it might feel mechanical and require discipline. But after a while you’ll notice yourself turning within to re-connect automatically — even with your eyes open, in the midst of conversation or activity. The key is consistency. As you stop, for just a minute, several times throughout your busy schedule, you’ll not only have more energy and creativity — you’ll literally create new neuropathways that eventually allow you to feel centered, tapped in, and turned on all day long! 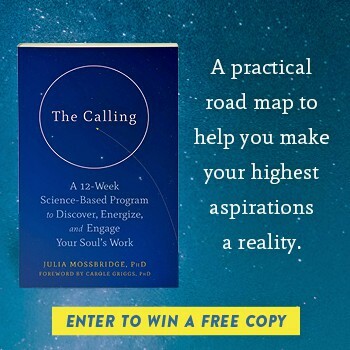 Access an awesome Awakened Wealth audio by Derek Rydall when you sign up for our FREE CLASS Speaker Series here (plus get $333 in bonuses). Read more great articles at Huffington Post. Should You Become a Spiritual Teacher – and How? > Really liking the attitude here.